A thing we each commonly share is that sooner or later, life will throw you a curveball you were not expecting. Whether it’s the yacht or Jaguar needing maintenance, the inner tube requiring a patch and Pacer engine exploding, or job or relationship loss, stuff will happen that we are in some way not fully and on all levels prepared for. A friend was sharing his disbelief in how so many of us have day jobs, working for the man rather than for oneself, building up our own business. I added my 2 cents which were promptly deleted on his post. But I understand exactly why the majority of us work for the man. I also totally get why many of us dream of being more in control by owning our own gig and I would love someone to join me and help me share the cool products I represent (see below). For 26 years I worked at Sprint and made decent money the last decade of it. Then I was laid off and went to work for ATT as a contractor and making similar money in contracting that paid $45.00 an hour starting out. This was fantastic, I was working from home which is something I had been doing and wanted to continue doing, I was no longer salary and that meant far better control over my hours and scope of responsibility. Earning $1800.00 a week and NOT working a minute over 8 hours each day was golden for me. I actually did put in a few extra hours but that was my choice and I was free to make that up during the week by cutting out early when able to do so. I was not so overloaded as I was 95% of the time at Sprint, so I really had what everybody talks about when they spout on about a work and life balance. I had that FINALLY! I was learning something new and just loved my job. I loved my work at Sprint too, just not the long hours I typically put in and at no additional pay. After months of being new and acclimating, I finally fit into the pecking order. The team was cohesive except for one guy who was a rat and a troublemaker. This little dude was on me from day one so I suppose he is pleased as Hawaiian punch right now as they kept him on the project and I was one of the laid-off people. 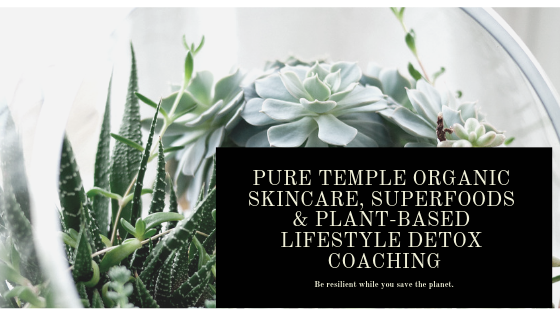 While working, I continued writing this blog, writing product reviews and answering plant-based lifestyle questions, sharing knowledge from my Hippocrates Health Institute training and selling organic skin, body and home care products as an independent representative of 3 great companies. I love helping people and sharing why they should go organic, doing facials or helping them with a green detox or supplement but 3 years in, I pay a lot more to keep this blog going and my Independent Rep status, than what I get paid. Frankly, I am at a loss as to how I can earn $1800 a week take home pay doing my own gig. So, yes, Randy my friend, I do understand your frustration as well as why folks have their day job, putting so much into that work that sometimes it squeezes out everything else. Because life happens. And as a business owner, an entrepreneur, I completely get how freaking hard this is to pull off. In part, this is because I don’t just follow the money. No, I fully research and vet what I am suggesting folks buy. I read the ingredients and assure that there are no toxic substances in the label. I will only talk about and recommend what I have already vetted as safe. I price check to see what product between the 3 lines may be cheaper or better for you. Then I talk about it. I am not pushy and therefore I have few paying customers and give a lot of free advice out. This would be why I really miss my day job but also brings us back to why having a plan b and preferably a plan c as well, is critical in life. You can be filled with all the knowledge and enthusiasm in the world and still be sitting staring at a dwindling bank account. You may take exquisite care of your vehicle but take it someplace and they put in a part you never needed and you cannot prove that they just took $1600.00 of your money that was utterly unnecessary. You can never go back to a place that screwed you and you can get another job if you get laid off but it is the in-between, the plan b, that will keep you afloat and calmer when the feces hits the fan. Back up plans are not always ideal, which is why they are back up and not primary plans. First, you must exercise a level of control and realize that less can be more. You compete with yourself and your highest good, not the Jones’s next door. My neighbor sort of hoards stuff. He gets most of it for free or really cheap. But his garage is packed to the gills with stuff he doesn’t use or need. Learn to let it go. I just sold my car. I had 2 and one paid off. I kept the one paid off. We have more space now and no car payment. So whatever your current financial situation, a backup plan is respect and love for yourself. It is also respect and love for your family. HELOCs – If you own a home where you have any equity at all, consider getting a HELOC, which is a Home Equity Line Of Credit that you never need to use but just have available in case of emergency. Unlike a mortgage, in most states, there are no fees for this type of loan other than the interest carried on any balance. At various times, I have used my HELOC to pay off a primary mortgage, a vehicle, to remodel that home as well as to remodel another home. When using a HELOC or any other kind of loan system, this is not going to be ideal. Of course, you can write off the interest on a HELOC at tax time but it is still money lost. Use with discretion, and don’t be the one making the minimum interest-only payments or you will never get ahead or get the loan paid off. I make double payments, at least, every month. My goal is to get the loan totally paid off but also in doubling up on my payments each month, this creates more bandwidth in case I ever must tap into the loan again. CREDIT – Don’t carry credit card debt. Pay the balance in full each and every month which will save you money as well as help motivate you to dial it down if you are spending above your means. If you currently have credit card debt, pay the higher interest rate first and get that knocked out. Then go to the next highest rate card and so on. You also want to pay your smallest balance first, depending upon how long that will take you and what the interest rate is that they are charging you in order to create cash flow. Cash flow is king. It helps create plan Bs. Look for 0% interest when you get into a bind and need to extend something out. We recently had a remodel that ended up being more and then more yet. I swung some of the fixtures onto a zero for 6 months loan rather than having to pay in full when the bill came in. At the time, I did not know I was getting laid off so I am very glad now that I planned ahead, just in case. Savings – When working I loved to move my direct deposit into various accounts so some would be for immediate spending while others were dovetailed for savings. Having this done automatically helps because even the best of intentions can get derailed otherwise. Pretend it isn’t there and shortly you will have a nice little nest egg. Respect For What You Have – Keep your things in good condition so if you tire of them or need to sell things off, they are ready for the next buyer. From my homes to my cars, everything is in tip-top shape and maintained that way. This means far less drama when it is time to sell something off. Recently I sold the Jaguar. To get it ready for sale simply meant a hose and soap. It has recently been waxed and the interior leather treated so easy peasy. My 24-year-old car would need a wax. That’s it. Both homes are market ready with the landscape on a regular maintenance schedule. We rent out the one place but if we were ever in need of selling, it’s ready to go in a nice paying it forward way too (don’t ever forget about Karma). Keep Your Resume Updated – Don’t ever assume you are safe. Getting laid off came suddenly and shockingly. We all tend to stack rank ourselves and I knew I was doing well and was not the troublemaker on the team so it came as a surprise when it happened to me. Networking and keeping up with connections and a fresh resume takes the edge off. Learn New Skills – Look at emerging fields and at other ways you can apply the talents you currently have in a new way. I’m a project manager, great at the minutia of where all the widgets currently are and where they need to be while making it look easy in front of a customer. These are valuable skills I can apply to anything from a construction or remodel project to implementing an API. But I also adore animals and recently went through some heavy stuff with our resident Doberman and am currently studying CMT, Canine Massage Therapy to be an animal bodyworker. Like acupuncture, it is an emerging field for our fur kids and I will be one of the few in Dallas doing this a few weeks from now when I am certified. Consider Blogging – You can become an Amazon Affiliate Marketer or write about your particular passion and gain a following. For interested parties, check out my Getting Started page. Just know that blogging takes time and patience to grow a business. There are so many great niche markets out there to explore. Where I took my life changing training – https://op.hippocratesinst.org/moreinfo/static/34 For the free syllabus Online Life Transformation!